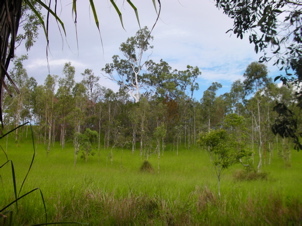 Julatten is the hinterland of Port Douglas and is known for its very attractive rural properties. It is one of the most desirable places to be with its 2.5 m of annual rainfall (same as the coast) but 5 degrees less in temperature. According to the National Geographic Magazine it ranks worldwide as one of the best climates. Whilst its rural ambience is relaxing and at the same time invigorating, the distance to glitzy and lively Port Douglas is less than half on hour by car. All necessary facilities are also 20 minutes away in the charming Country Town Mossman, be it schools, hospitals, supermarkets etc. Mind you, Julatten has its own primary school with a very good reputation and the school bus to Mossman stops in front of the property. It also has a General Store and Petrol Station, and farmers in the area sell their own produces. The surroundings of Julatten are beaming with tourist attractions, i.e. the Mossman Gorge with its cool rivers and ponds, the Daintree Rainforest and Daintree River (that is, if you like to watch Crocs), Cape Tribulation and Cooktown, to name a few. Your adventurous spirit will find no limit of discovery. The outback is also easily accessible. The slightly sloping property is grassed, fenced, has a seasonal creek, a small shed and some attractive native trees. It looks into the mountains in the not so far distance. 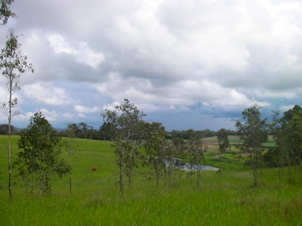 The property is on the road from the coast to Mount Molloy from where one reaches Mareeba, the country town in this part of the Tablelands to the South and Cooktown to the North. The asking price is $320,000.